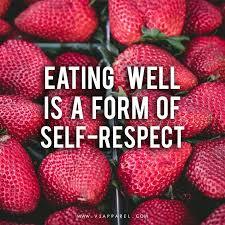 Since eating healthy is a major component to having an active and awakened life, I am going to start sending some of my favorite recipes. Most of the recipes will be vegetarian or vegan recipes. I will try to keep the recipe cooking times under 30 minutes. Although, some will be longer. Before I give you the first recipe, I want to tell you a little about my eating habits. This will give you an understanding of why a good amount of my recipes will be vegan. Two years ago, I found out that I am allergic to some of the proteins in milk. It’s very mild. Even though it is mild, I can have issues with bowel movements and become tired and sluggish. This may not seem major, yet it can cause me to be distracted from my spiritual and physical work. If I am tired with stomach pains who wants to work out? I know I don’t. For the first year, I was a strict vegan. No dairy, no eggs, no meat, or animal byproducts. I wanted to give my body a break from all the antibiotics and hormones. I also, wanted to support the environment is a more effective way. I don’t want to bore you on statistics and other facts about how being a vegan helps the environment so if you want to find out you can check out cowspiracy on Netflix. This documentary was the second reason I was a strict vegan for a year. For the second year, I added in some seafood, and some dairy and eggs. When I am cooking at home, I do not cook with dairy or any meat. I use eggs occasionally. I try to limit the amount I eat out because it is expensive and it’s hard to find completely vegan dishes. When I do, it’s generally a fish or vegetable dish with some butter used. I have noticed a huge difference with my body since I have cut out most dairy and meats. I have more energy, clearer skin, and little to no stomach issues. This leads me to my first vegan recipe for you! This recipes is one of my favorites for picnics or a school lunch. 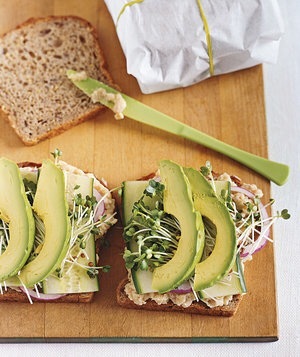 It’s a smashed White Bean and Avocado Sandwich from RealSimple.com. What I love about this sandwich is; it’s quick and easy. It is healthy and filling. The beans and avocados are a good source of protein. Feel free to add tomatoes if you like. My fiance loves tomatoes on his. In a medium bowl, combine the beans, oil, salt, and pepper. Roughly mash the mixture with the back of a fork. Place 8 of the bread slices on a work surface. Divide the mashed beans among them. Top with the onion, cucumber, sprouts, and avocado. Stack the open-faced sandwiches on top of one another, avocado-side up, to make 4 double-decker sandwiches. Top with the remaining 4 slices of bread. Slice each sandwich in half, if desired, and serve and enjoy!